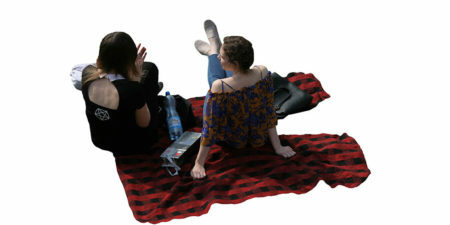 Sitting girls on blanket. View from above. Sitting young women in casual, autumn outfit.